There is one very sad and bittersweet side to travel, a side that has caused me over my many months of backpacking to shed more tears than I care to admit. That side just happens to be the day when you have to say goodbye to the amazing people you meet along your journey, and it’s a day that always seems to come too soon. 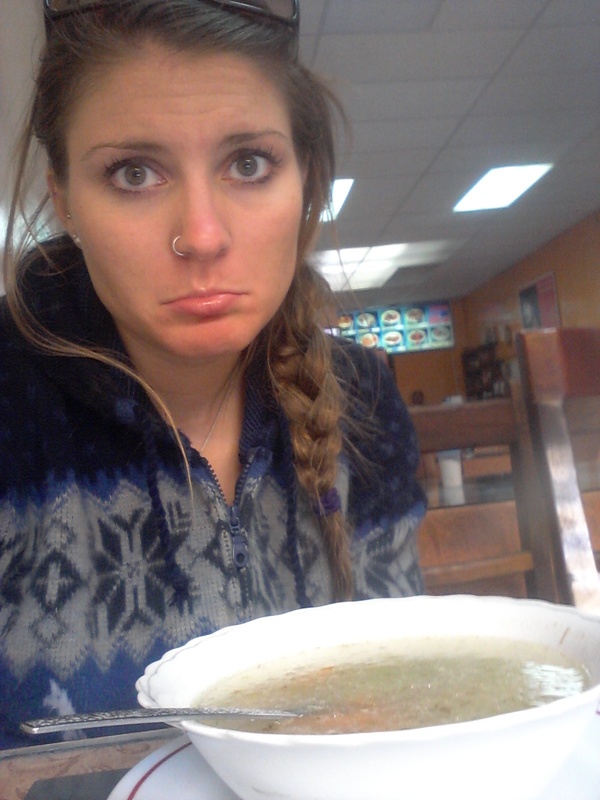 Me on one of those sad travel days just after saying goodbye to a fellow traveler I spent a week with in Ecuador. It’s incredible how quickly you can build a bond with other travelers while on the road. Part of it is the fact that travelers are usually like-minded, part of it is that you might be lucky enough to be headed in the same direction, but the most important part is compatibility. When you travel with someone else, chances are you’re spending twenty-four hours a day with them, often in high stress situations of navigating unknown cities, bus routes, and languages (unless they happen to be fluent in Spanish!). To get along with them so well that you choose to be with them for a while is something rare and amazing. Travel relationships of all types are incredibly intense and a few days spent with someone often feels like months of getting to know that person. This ability to build bonds in such a short time is one of the most amazing parts of traveling. But beyond that, and for those that wear their heart so openly on their sleeve, the heartache of leaving each other is incredibly sad and difficult. Saying goodbye means more than I’ll see you when I see you, it’s really wondering if you’ll ever see that person again in your lifetime, a serious and realistic thought. Will you manage to see that American guy from New York again? That British girl from England? Will your paths cross somewhere down the road? Of course there is always Skype, Facebook, or good old e-mail to keep in touch, but it’s never the same. Hence, how bitter goodbyes truly are. It’s a lump in your throat, the sting of tears in your eyes, and a very real ache in your heart when you give that final hug and wish that person safe travels. But no matter how sad and hard it is, it’s always worth having to say goodbye for the experiences you were lucky enough to share together for a time in an amazing country.